This winter while back in Phoenix, the city I was born and raised in, I was struck that their are two clear influences that I can come up with that I know inspired me visually as a child and subsequently the artist I have become today. One is the artist Philip Curtis. One of the key players in the building of the Phoenix Art Museum fifty years ago when it first opened its doors, his work was a common feature of their collection. Now if you visit the Phoenix Art Museum you’ll find a whole room dedicated to him near the cafe. 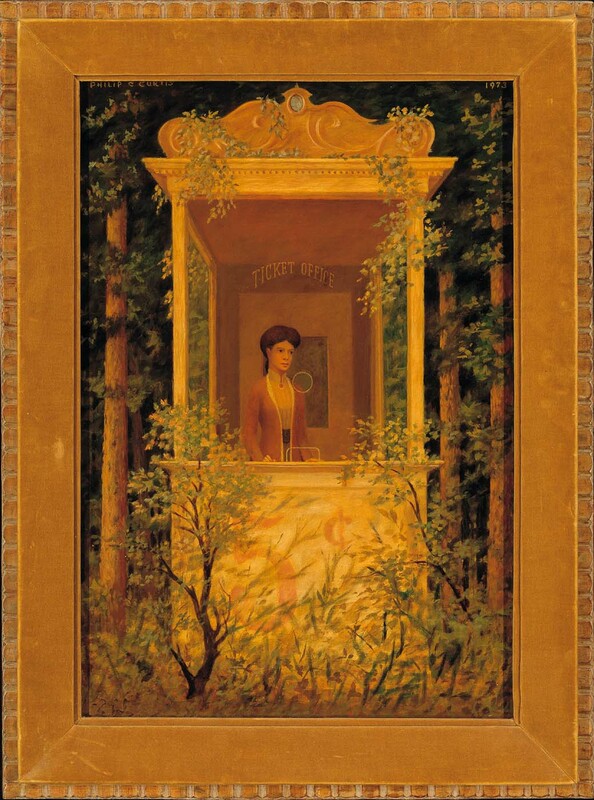 I would categorize Curtis as a surrealist along the lines of de Chirico with a habit of rendering figures and scenarios from the 19th century. 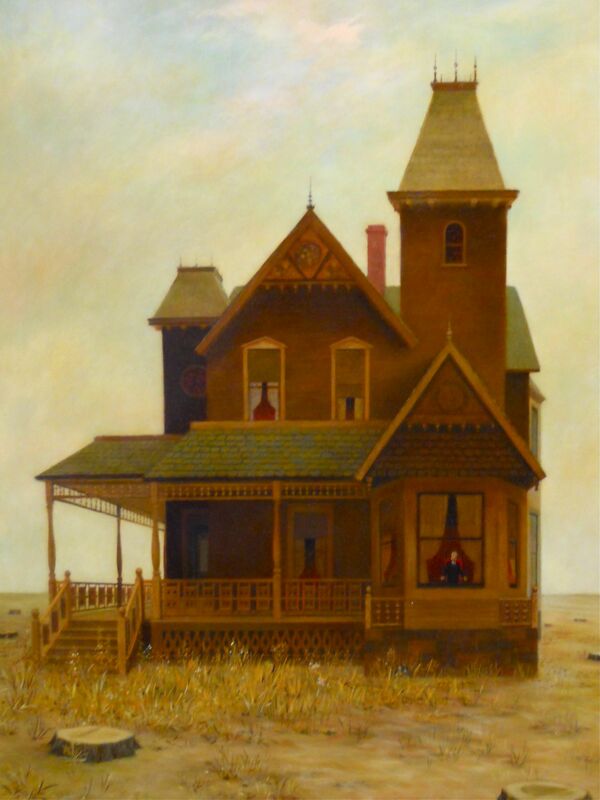 Not recognized widely outside of Arizona, as a child I know I got lost in the narratives and the mysterious aspects of his work. Each painting seemed to be some kind of puzzle I had to figure out. Curtis is in addition was a painters painter, and his work clearly shows a dedication to craftsmanship and accuracy in rendering. 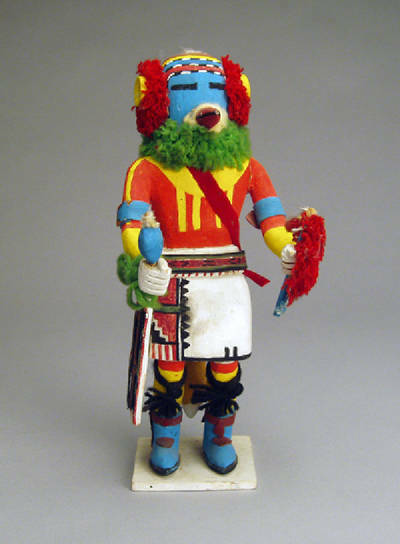 Another early influence of mine is the katchina dolls (now often called katsinas) of the Hopi people of Northern Arizona. As a child once a year we would attend the “Smoki day’s” events in Prescott and would watch snake dances and other native people at their crafts. 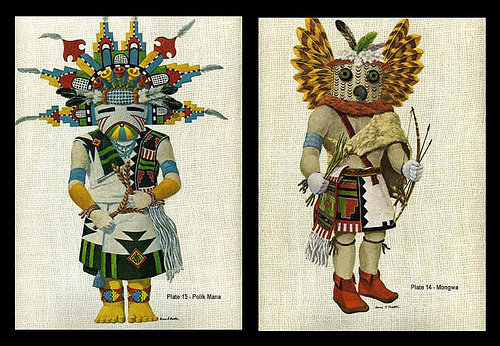 The kachinas fascinated me with their hybrid human/animal bodies, bold colors, patterns and sheer mystery. As a child I was struck that they clearly were special or sacred, and yet they had such a delightful toy-like quality to them. I got several katchinas as a child only to destroy them years later fearing they could be possessed by demons- my apologies to the Hopi people. As an artist I feel I am on a trajectory that brings me back to places I’ve been before as I continue to create work (often even without me being aware of it). I have found myself looking at both of these influences again as of late. We’ll see where that could lead. This entry was posted in Artists of Interest and tagged Hopi Kachinas, influences, Philip Curtis, Phoenix art museum, Tim Timmerman. Bookmark the permalink.